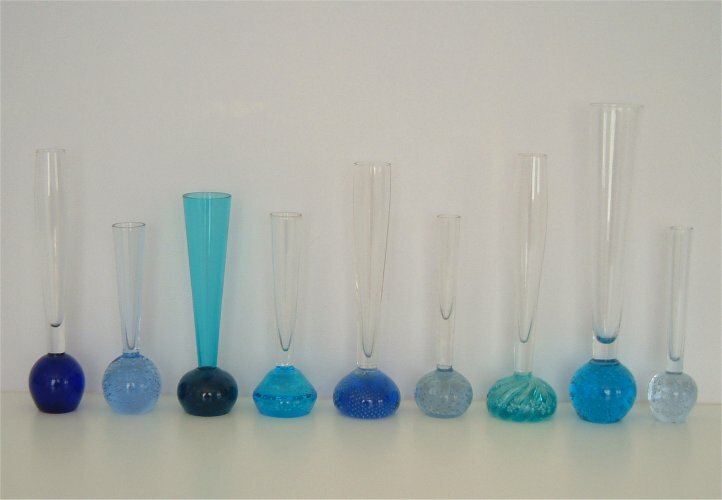 BLUE It is impossible to reproduce the colours exactly as they appear to the naked eye, as light conditions, the shape and thickness of the glass and the number and size of the bubbles all affect the colour. So I have tried to choose just one of each type of colour and photographed them side by side to show the differences as clearly as possible. Click on the links above to see examples of other colours. See below for some more examples in this colour.